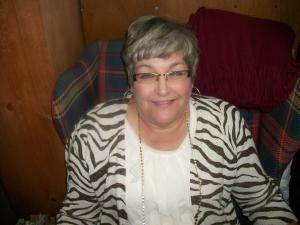 Susan grew up in Coalgate, Oklahoma and graduated from Coalgate High School. She graduated from East Central Oklahoma State University in Ada, Oklahoma. I am married to Larry Eddings. We were married May 20,1983. We have three children. Cliff is married to Holly and lives in McKinney, Texas. Will works in Alaska and is married to Ashlee and lives in Indiana when he is not working. Jill is married to Halston and lives in Coalgate with my granddaughter Hollyn Joy. Larry and I have 2 dogs, Dixie and Sadie. I like watching football and basketball in my spare time and doing many craft projects such as crocheting and counted cross stitch.